In the Kozjansko and Obsotelje regions, castles were constructed from the 10th century on in naturally secure locations with the purpose of strengthening the defense along the Sotla, which is the border river. Some castles have completely disappeared in the centuries that followed and only mighty remains remind us of others, such as Kunšperk and Kozje castles. 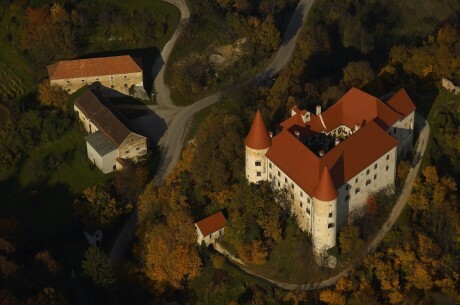 Through the centuries, the Pišece, Bizeljsko, Olimje and Podsreda castles have been preserved. The latter two have received a new purpose later on, all of them however remain in the memory of the locals, as well as go on living in legends and stories. Podsreda castle, “Slovenia’s most castle-like castle”, has a special place among the castles in the area of the Kozjansko park, since it is still alive today due to rich cultural activities. It is one of the few cultural monuments originating from the Romanesque period in Slovenia that in the past 30 years, thanks to its complete renovation, has evolved from an almost dilapidated state to an important holder of cultural, promotional, educational, social and tourist events. Podsreda castle, a monument of local importance, is owned by the Kozje Municipality, whereas the Kozjansko Park Public Institute is its administrator. Life at the Podsreda castle is full and rich, especially in warmer months when events featuring Slovenian and foreign artists take place at the castle. 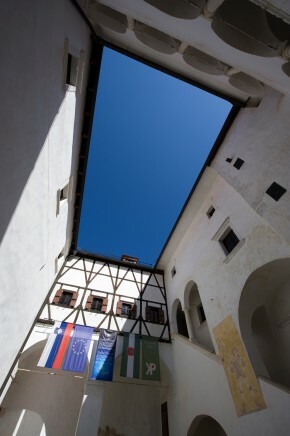 The castle becomes particularly alive on warm summer nights, when in the atrium under the mighty vaults as part of the Summer of Music programme, concerts of well-known Slovenian and foreign musicians and music seminars are held, which enable the participants to develop musically. 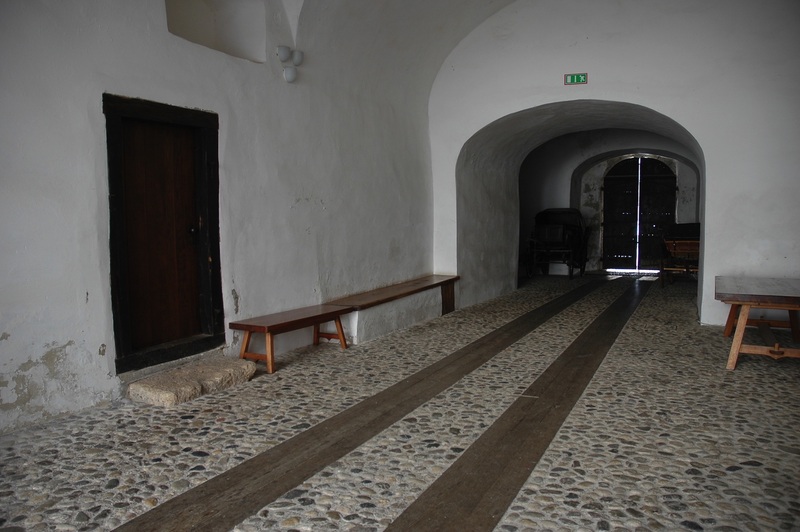 Podsreda castle is open every day except Mondays, from March through November from 10am to 6pm. Podsreda castle is one of the most important examples of Romanesque architecture in Slovenia. During procedures performed on the monuments, extensive research was carried out, which produced surprising results. It was established that as early as in the Romanesque era, in a relatively short period of time, there were as many as four independent and self-evident construction phases. 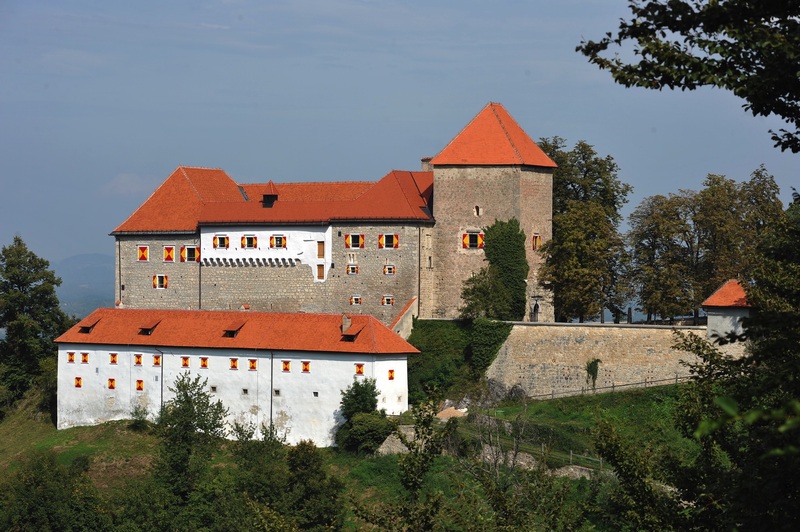 The Podsreda castle thus ranks not only among the most monumental properties in Slovenia, but also enjoys a privileged position among Europe’s medieval castles as its medieval core has remained virtually unchanged over the centuries. The “most castle-like Slovenian castle” can be traced back to the 12th century, when the northern wing was built around 1150 and the tall defensive tower or bergfried in 1180, the southern wing in 1220, and the tower with the chapel in 1260; in 1612 the chapel was consecrated by the Bishop of Ljubljana Tomaž Hren to Saint Philip, Jacob and Anna. The castle was built in the mid-12th century, however, it was first mentioned in written sources as late as in 1213. The original German name of the castle, Hörberg, Herberch or Herberg, reminds us of the age of the building. The name means a shelter where the military used to seek safety when in danger or the castle was merely a resting place, which were common along medieval routes. Today’s name Podsreda has no direct connection to the original name. It probably means the day on which market and court events took place in the market town of Podsreda, which lies in the valley below the castle. The land on which Podsreda castle stands was owned by the Counts of Friesach-Zeltschach as early as around 1000 and later came into the possession of Countess Hemma of Gurk. In 1042, she founded the women’s Benedictine monastery in Gurk in Carinthia, where she also resided; the monastery later inherited her entire property in the March of Savinja. Soon after her death, the monastery was dissolved and the entire property of the former monastery passed into the ownership of the newly established Diocese of Gurk in 1071. In the first half of the 13th century the castle was bought by Frederick, Lord of Sanneck (of the Counts of Celje), and remained in the ownership of the Counts of Celje until their passing. Afterwards, it became a property of the provincial prince. The owners and administrators of the castle kept changing, but in 1617, Count Sigmund von Tattenbach bought the castle. In 1701, the Podsreda estate was inherited by Countess Eleonora E. Barbo, and upon her death, by her daughter Maria H. of Apfaltrern, and in 1787 by Baron Franz Lazarini. Sometime before 1848, the estate was bought by Prince Weriand of Windischgrätz, who gave the castle its present-day image. The castle remained in the hands of the family until the end of the Second World War, when it was nationalized. In 1983, the Kozjansko park took over the management of the castle and undertook a full renovation together with a rich revival programme. Today, amidst the beech forest of Orlica, the centuries old heritage of the Romanesque period and modern art go hand in hand. 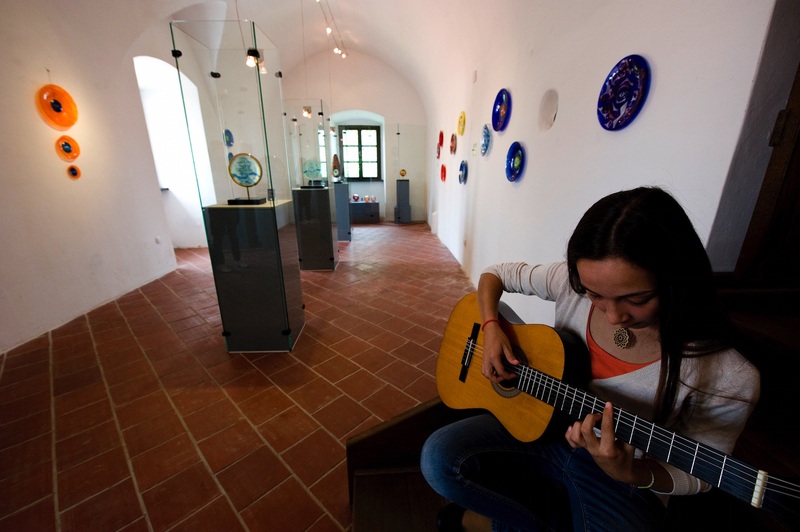 In the castle cellars, the Kozjansko park information centre is located, where the nature of the protected area of the Kozjansko regional park is presented in a modern way. Here, visitors can learn about the most important nature protection habitats as well as local flora and fauna. On the ground floor of the castle, visitors can visit the medieval kitchen with the open fire pit, which is still used for special occasions. 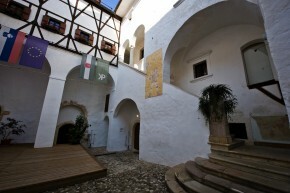 The oldest part of the castle houses a permanent exhibition of paintings by the Slovenian artist France Slana “WHEN THE GAME OF THE MOMENT BECOMES TIMELESS”. The painter, graphic artist and illustrator France Slana, recipient of the Prešeren Fund Award, has an exhibition of his 36 oil paintings on canvas from his various work periods in the Podsreda castle. Among the works, the most prevalent are landscape and sea themes, but also animal motifs, mostly cockerels, fish and cats. The attic has been selected for photography exhibitions of various Slovenian as well as foreign photographers. 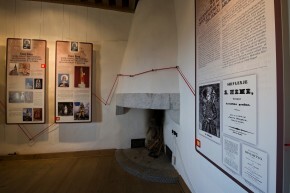 On the first floor of the south residential building, constructed around 1220, an introduction of the castle’s history is featured. In the memory of St. Emma, a memorial room is in the Romanesque room with a well preserved biphora. Numerous legends tell us a lot about Emma’s life. One of them tells that Emma was born in 983 in Pilštanj. She was a member of the upper aristocracy as she was related to emperor Henry II. She married William, the earl of Friesach and the County of the Savinja region. After the tragic death of her husband and two sons, Emma became the owner of a large fortune. which she donated to the newly established female monastery in Gurk in Carinthia, where she also found refuge herself. In 1045, after an exemplary and virtuous life she died in Gurk where she was also buried. 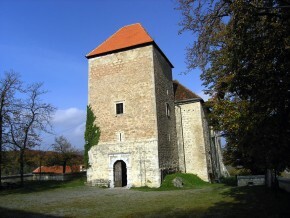 Podsreda Castle is one of the destinations on Emma’s Pilgrimage Route, which leads through places connected with the life and work of Hemma of Gurk. In this part of the castle, you can also tour the defense tower with the preserved loopholes, which always surprises visitors with the thickness of its walls. 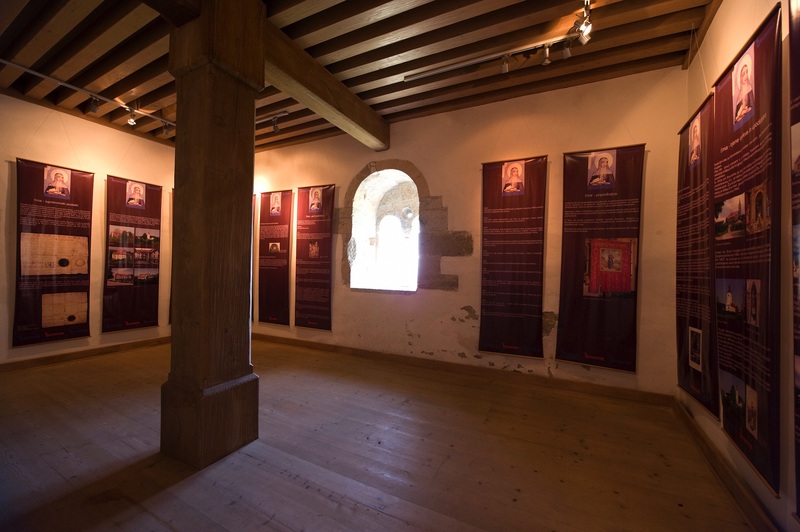 The tower also houses the exhibition on St. Mary’s churches along the Mary’s pilgrimage route connecting places in Croatia and Slovenia. On the second floor of the south residential building, there is a large renaissance hall where numerous events take place: weddings, concerts, seminars, round tables, etc. In the former castle granary, which serves as a gallery nowadays, art by renowned Slovenian and foreign artists has been exhibited for many years. The glass industry in Kozjansko has a long tradition. It was developed mostly near forests, which provided a sufficient supply of wood. Products made of green and clear glass were primarily manufactured. 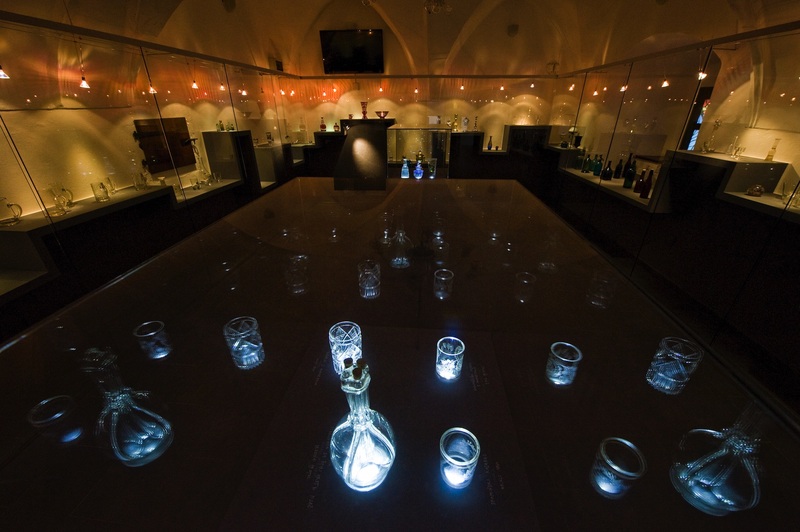 Some preserved glass vessels and remains of former glassworks however prove that also milk and clear glass used to be manufactured. In the glassworks in Kozjansko, beside mineral water bottles and glass products for keeping medicines and food also luminaries, serving and eating dishes as well as window glass were manufactured. 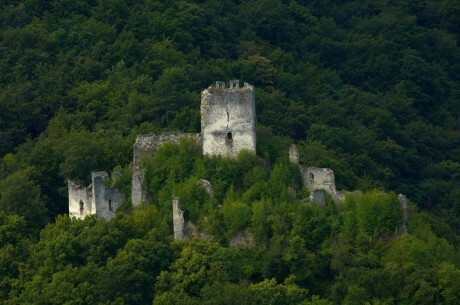 The castle lies at an altitude of 475m above sea level amidst the forests of Orlica. It provides a beautiful view towards the Croatian region of Zagorje and over Kozjansko towards the Pohorje mountain range. In the summer months, the castle courtyard also becomes lively. Here, trekkers can rest their tired feet in the shade of the majestic chestnut trees and visitors can enjoy the music of renowned artists. The huge area of the Posavje region, of which Pišece is also a part, used to be a part of the Posavje estates owned by the archbishop of Salzburg. This area was constantly threatened by the Hungarians, therefore the archbishop of Salzburg had several castles built, among them also the Pišece castle. The castle itself is mentioned in sources as early as in 1268, when the ministerials of Salzburg, the knights of Pišece, are stated as the owners, who managed the castle until 1353. After there we no more knights, the castle was managed by the archbishop’s administrators for more than 200 years. In 1595, the Pišece estate was bought by Innocenc Moscon as a legal and inheritable property. The Moscon family owned the estate until 1938, when the entire property was auctioned and the castle was nationalised, whereas the forests were sold to private owners. The mighty Romanesque tower and the castle chapel have been preserved from the earliest times of the castle. All the other parts of the castle were built later, i.e. from the Renaissance, and later also rebuilt. In 1867, the castle got today’s neo-Romanesque appearance. 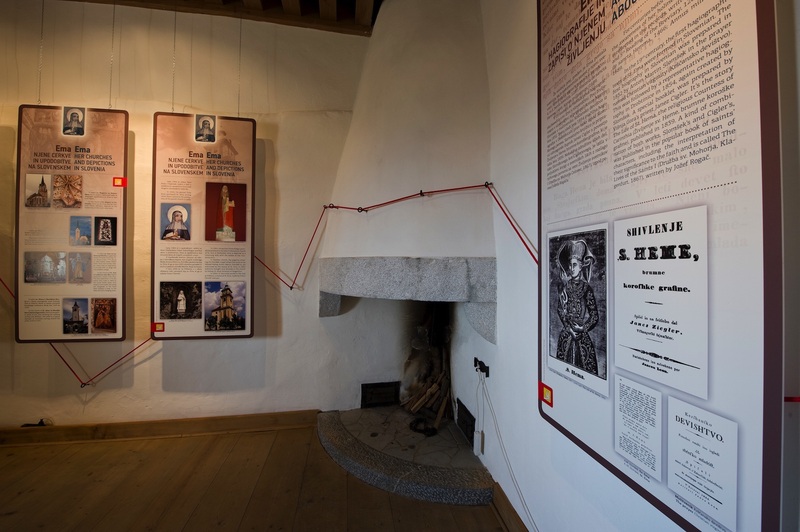 The Moscon family, who owned the castle for almost 350 years, was also very important and influential locally, its influence also reaching far beyond the locality’s borders. Their lives did not only go on behind the castle’s walls. The surroundings were very beautifully landscaped with a garden and a pond where exotic trees still grow to this day – sequoias, sycamore trees, ginkgo, southern catalpa, honey locust, etc. 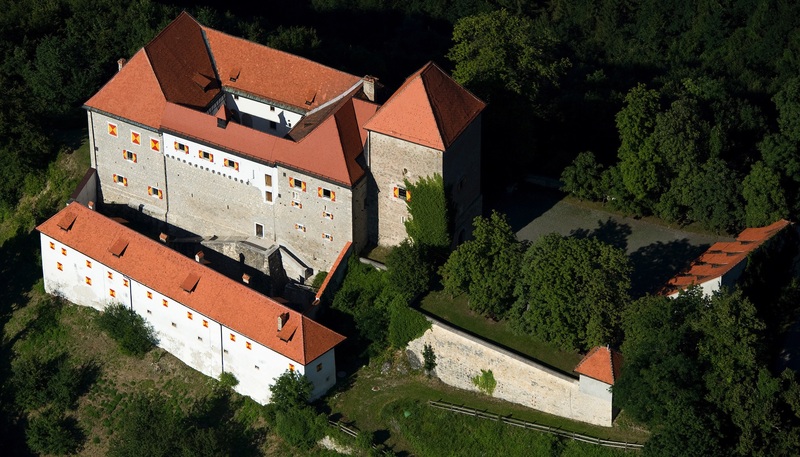 In recent years, Pišece castle has been completely renovated. Bizeljsko, which used to belong to the hereditary estate of Hemma of Gurk (Friesach-Zeltschach), was passed into the ownership of the newly established diocese of Gurk after her death. As an estate of the diocese of Gurk, Bizeljsko is mentioned as early as in 1251. At that time, there was already a smaller manor in the same spot. In the gift deed for the manor from 1278 knight Eberhard von Visel is mentioned as a witness. Later on, in the 15th century, the castle was rebuilt. 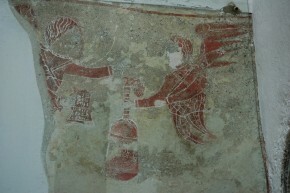 It was owned by the diocese of Gurk and managed by the knights of Bizeljsko. In 1532, the bishop of Gurk let the estate to Hans Tattenbach, whose heirs received the estate as inheritable property in 1608. Afterwards, several families owned the castle. In 1858, the estate was bought by the Windischgrätz family. Between both world wars, Hugo a S. Croce was the owner of the castle, whereas the owners during World War II were baroness Christina and her husband Nikolaj von Maasburg. After World War II, ownership of the castle transferred to the state. The features of the castle are typical for the Renaissance period as it underwent numerous modifications throughout the centuries with each period adding something new, however its fundamental characteristics have remained in-line with its oldest depictions. The most intact is the central building with four wings that surround the inner courtyard and is fundamentally medieval. In the Renaissance, this core was reinforced with two defense towers. In 1623, the St. Jerome chapel was built next to the entrance into the castle. Kunšperk lies on land inherited by Hemma of Gurk (Friesach-Zeltschach). In 1042, she passed it to the women’s Benedictine monastery in Krka, Carinthia, whereas in 1071 its ownership passed to the diocese of Gurk. The original castle of Kunšperk was already present in the area at that time, having been built for defense reasons. Its position directly above the River Sotla commanded the Croatian Zagorje region as the opposite pair to the Croatian castle Cesargrad. The sources mention the castle as late as in the 12th century, when bishop Henry of Gurk had it torn down because of a dispute with Otto von Hernek with regard to the appropriation of the Gurk estates. After Henry and Otto resolved their dispute, the castle was rebuilt. 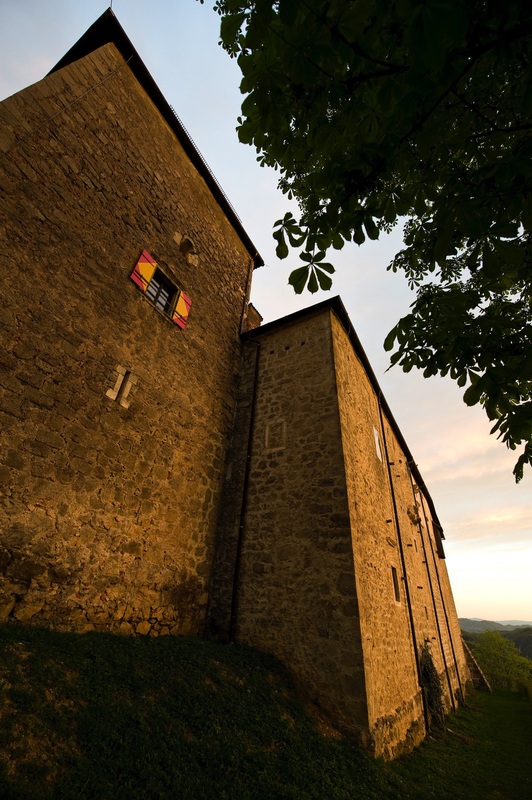 In the following years, the knights of Kunšperk are mentioned as the owners of the castle. The power of the knights of Kunšperk faded after 1300 and their estate started crumbling. Afterwards, the Counts of Celje are mentioned as the owners of the castle and the Habsburg dynasty after their demise. In the 16th century, the Tattenbach family owned both castles, Bizeljsko and Kunšperk. The seat of the Kunšperk estate was transferred to Bizeljsko and the estate was thus managed from there. The Windischgrätz family is stated as the last owners. Today, the Kunšperk castle is in ruins. From the once numerous buildings only the mighty Romanesque bergfried – defense tower, part of the walls and the castle chapel have been preserved. It belongs to the oldest castles in Kozjansko, which is also evident from its original name – Landsberg, meaning the provincial castle; i.e. the castle in control over the province since it is located at a spot with commanding views over the Obsotelje region and the border with the former Hungarian kingdom. It was probably built sometime after 1100. It is located in the area of former Hemma’s estates. It was constructed by the bishops of Gurk and managed by the knights of Podčetrtek. In 1527, the administrator of the castle became Hans Tattenbach. However, his successors received the castle from the diocese of Gurk into permanent inheritable possession as late as in 1612. In 1671, the head of the Tattenbach family, Hans Erasmus von Tattenbach, was decapitated in Graz for having been accused of being part of the Zrinski-Frankopan conspiracy against the Habsburgs. The entire property of the family was confiscated by the state, who sold the castle in 1682 to duke Ignatius Maria Attems. The latter family owned the castle until the end of World War II. After the war, the castle served several purposes. Once opulent furnishings was displaced, the castle also housed residential flats recently, but they have since become very dilapidated.